Colour Shower Trays. Trade Prices. 700mm. 750 760mm. 800mm. 900mm. 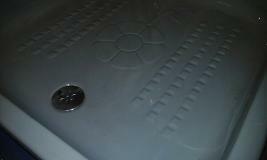 British Made Quality Shower Trays In Plastic and Concrete Resin. Many Colours and Sizes Available In Stock. Discontinued Obsolete Colours Inc. Wild Sage Whisper Green Sorrento Blue Primrose Yellow Sepia Mink Autumn Tan Brown and More. 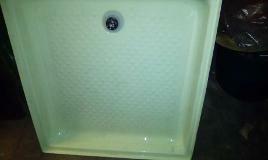 Spring Aquarius Fordham Sorata Gardex Bradford Yorkshire Shower Tray Bases In Colours. Large Choice In Shower Tray Bases. Low Prices. All New, Unused, and Of Original British Manufacture. 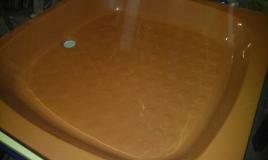 We Stock Obsolete And Discontinued Coloured Shower Trays In Many Sizes. Branded Name Manufacturers. Aquarius Bathrooms. Spring Bathrooms. Fordham Bathrooms. Sorata Bathrooms. Gardex. 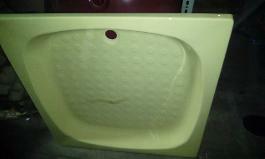 Interested In A Coloured Shower Tray? Please Ask Us If We Have What You're Looking For. Noting Colour And Size. Shower Trays. In Stock. Discontinued And Obsolete Colours. 700mm. 750mm/760mm. 800mm. 900mm. In A Vast Array Of Colours Such As... Primrose Autumn Tan Brown. Sepia. Mink. Wild Sage. Whisper Green. Soft Mint. Sorrento Blue And Many Many More.